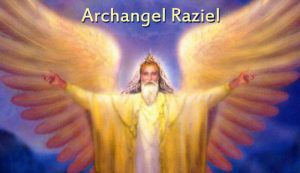 Archangel Raziel is the closest angel to God. The meaning of the name Raziel is “The Secret of God” or “The Angel of Mysteries”. He is the patron of lawyers, judges and law makers. Archangel Raziel knows all the secrets of the Universe. He understands how the Universe operates. You can also find him under the names: Ratziel, Akrasiel, Saraqael and Galluzur. 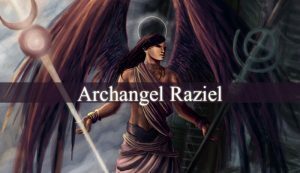 Raziel is often equated to Archangel Suriel. And he is one of the Princes of the Face. Having a special seat or place in the presence of God. 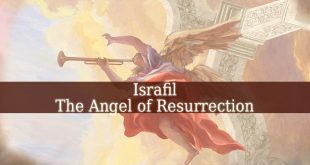 Raziel is the closest angel to God, so he hears everything God says. He also writes down God’s words and secrets. In the book Raziel includes also helpful information. One of them is that the creative energy always begins with thoughts that were born in the spiritual realm. When a thought is created in the spiritual world, it will be transformed in words and actions in the physical world. It is believed that Archangel Raziel gave his book (The Sefer Raziel) to Adam and Eve when they were expelled from the Garden of Eden. When the other angels found out what Raziel did, they decided to cast the book into the ocean. Now there are two different versions of how this story continues. One says that the prophet Enoch found the book. He edited it by adding some of his own knowledge about Archangel Metatron. Then the book traveled to Archangel Raphael, then to Noah and lastly to King Solomon. The other version says that God told Rahab (the angel/demon of the deep) to find the book in the sea. And then to restore it to Adam. Then the book went to Enoch. Who is believed to give the Sefer Raziel out as his own work (The Book of Enoch). The next owner was Noah. And also Solomon got the powerful book. Which gave him sacred knowledge about magic. Other sacred texts describe Archangel Raziel as the ruler of the second level of Heaven. He is also responsible for turning knowledge into wisdom. Raziel is often seen as a wise old wizard. He is the patron of wisdom. Raziel has all the knowledge and wisdom in the world. He can teach us how to stay focused. Also, he can help us to attune to our higher self and to create the connection between us and the divine wisdom. He usually appears as an old man with huge eagle wings. His halo looks like a rainbow. 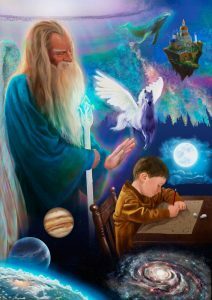 Archangel Raziel can help us recall every knowledge we accumulated over time, including knowledge from past lives. He is great in healing hurtful memories and get over painful traumas. 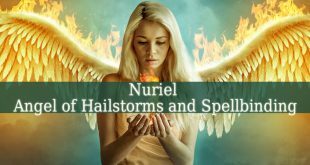 If you made vows in past lives and you are still feeling their effects, Raziel can help you undo them. But he can also help you gaining prosperity because he is one of The Angels of Prosperity. In the sacred texts of Kabbalah, Raziel is the patron and personification of The Divine Wisdom (Chokmah or Cochma). And he is the 2nd of the 10 holy Sefiroth. Also, in Kabbalistic lore, Raziel is one of the 10 archangels (sometimes only 9) in the Briatic world. The Brietic world is the 2nd of the 4 worlds of creation. An archangel governs each sefira of this world. And the chief leader is Archangel Metatron. 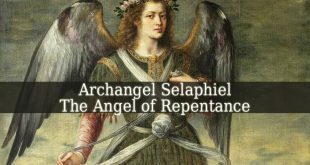 The other archangels of the Briatic world are: Archangel Michael, Archangel Raphael, Archangel Gabriel, Archangel Haniel, Archangel Sandalphon, Archangel Chamuel, Archangel Zaphkiel and Archangel Tzadquiel. You can find this list and more information in “The Study of The Kabbalah” by McGregor Mathers. Also, in Rabinic Lore, he is the writer of The Book of Raziel The Angel (Sefer Raziel HaMalach). In this book, Archangel Raziel describes the secrets of the Heaven and Earth. It contains all the divine secrets and their explanation. Also, this book is “wherein every celestial and earthly knowledge is set down“. Although, many speculate that the true author of the book is not the angel himself. The author has been identified as: Eleazer of Worms, Isaac the blind and as many medieval writers. 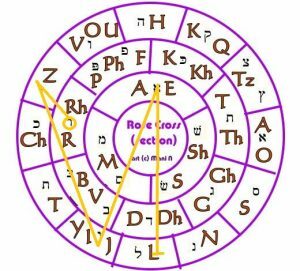 Also Abraham ben Samuel Abulafia a 13th century cabalist wrote under the name of Raziel. But he often used the name of Zechariah too. But it is also believed that Raziel gave The Zohar to Adam, not the Sefer Raziel. Another angel is sent to Adam by God. 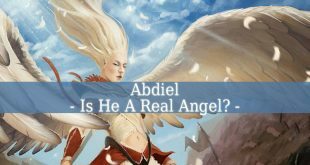 Angel Hadraniel comes with a warning for Adam to keep the book a secret. And to not mention it even to the angels. Then Adam gives the sacred book to his son, Seth. Who, will become a great prophet due to the knowledge from the book. The Legends of The Jews I, 154-157 describes how Noah gained knowledge about building an ark. And it was due to the holy book of secrets, Sefer Raziel. Archangel Raziel also appears in Targum Ecclesiastes. 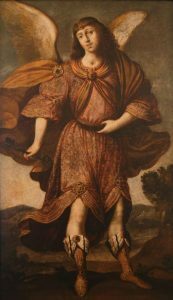 In 10, 20 the archangel is described how each day stand on Mount Horeb and “proclaims the secrets of men to all mankind“. 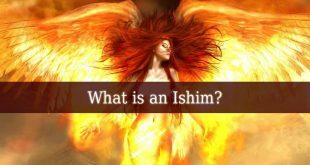 Raziel also appears in Mishna Thora. There he appears as the chief of the order of Erelim (the choir of angels that govern the grass, trees, fruits and grains). And he is also the herald of deity and the preceptor of Adam. M. Gaster mentions Raziel in his book called “The Sword Of Moses”. The author calls the archangel “the angel of the secret regions and the chief of the Supreme Mystieries”. We can find a reference to the book of Raziel in The Zohar I, 55a. It explains that in the middle of the book Sefer Raziel there is a secret writing hidden. This passage explains all the 1,500 keys to the mystery of the whole world. Which were never revealed even to the angels from the Kingdom of Heaven. But this book appears in many other texts and lore. As I explained above, Raziel gave it to Adam. Then his book got to Enoch, Noah and finally to King Solomon. Each of the prophets got mysterious knowledge out of the book. Proving that it contains valuable secrets. This powerful book also contains a list of the 70 angels of childbirth and numerous other lists. 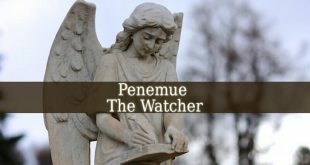 It describes the life of the angels, their duties and even their names. Therefore, it is a great source of information linked to the celestial world. Raziel can be invoked with this powerful sigil. You can see the powerful Archangel Raziel Symbol below.